Perhaps one of the reasons why you bought the Canon 5D Mark III is because of its astounding prowess to give you sharp photos. While that notion might be true, know that a high-end full-frame Canon DSLR is not enough to give you the results you want. Try using the 5D Mark III with the standard 18 to 55-millimeter f/3.5 to f/5.6 lens for macro photography, or close-up photography as others would like to call it; while it is possible, it’s going to be tough. Furthermore, using the standard kit lens for macro photography won’t give you pictures with amazing amounts of detail. Also, it won’t give you a proper isolation between main subject and foreground because the “Bokeh” effect won’t be as creamy or blurry as opposed to using dedicated macro lenses. If you’re passionate about getting into macro photography or would want to enhance your macro photography skills even further, then it is vital for you to have quality macro lenses at your disposal. Don’t just rely on the features and performance of the Canon 5D Mark III while using any random lens with it. Macro lenses deliver the level of detail you’ve been searching since you’ve started close-up photography. Also, they can offer excellent isolation between the main subject and the background because of the lens’ reasonably high maximum aperture. Backgrounds will become a nice, creamy blue while the details on your subject remain pin-sharp. If you’re already searching for the right lens to step up your macro photography skills even further, then we’ve listed the best macro lenses for the Canon 5D Mark III right here at your convenience. 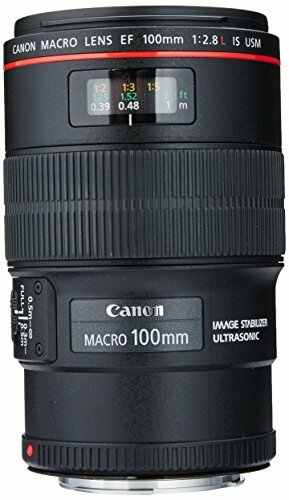 The Canon EF 100mm f/2.8L Macro IS USM is one of the more versatile lenses on the market as compared to standard or low-quality macro lenses. It is because its features can also be used in other types of photography, especially when it comes to taking portraits. The image quality of this Canon lens is nothing short of astounding as details remain rich while the color balance is very accurate. There is also just the right amount of clarity and contrast in each shot. Photos don’t come out oversaturated nor are they washed out. When paired with a Canon 5D Mark III, it becomes a simple task to get sharp images because of the image stabilization features. The lens can even handle well while shooting in dimly lit scenarios because of its f/2.8 aperture. If there is one shortcoming, however, is that this barrel of the lens comes with a plastic casing. It might be better if it had more regarding durability just like other high-end macro lenses, but it’s still sturdy enough to withstand more than just the usual scrapes and bumps. Third-party macro lenses are not strangers to the macro photography scene, but only a few stands out from the rest of the crowd. 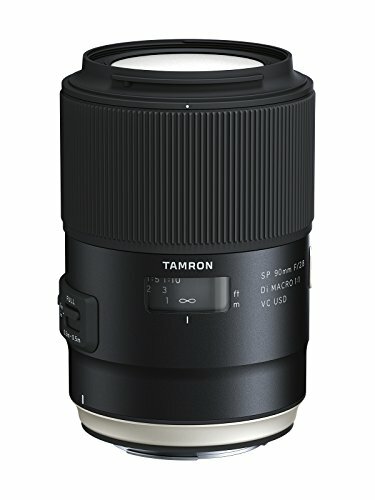 Take the Tamron SP 90mm f/2.8 Di VC USD Macro as a prime example; this is among the most exemplary third-party macro lenses you can buy from the market with its advanced features and supreme optical performance. It is made with high-quality materials, and it is also created with a moisture-proof and dust-resistant construction. Even the front element is durable as it is made with a fluorine coating to prevent condensation. The front element’s coating also prevents it from smudges, which would otherwise happen if you accidentally touch the glass part of the lens. When it comes to picture performance, this macro lens isn’t shy in boasting its prowess. Details are plenty, and the main subjects of your photos remain as sharp as they can be. As for the background elements, while shooting at its largest aperture, they become a creamy blur. 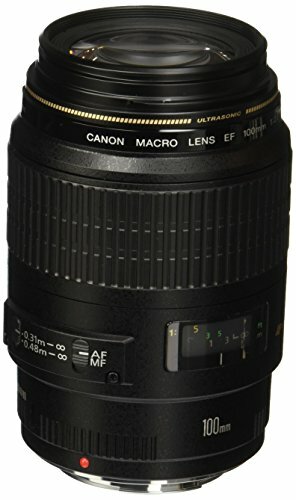 Aside from macro photography, this lens can also be used for food, beauty, product, or even fashion photography. Its built-in image stabilization functionality helps you bring sharp photos to the table, even if you’ve got a bit of a shaky hand problem. One of the challenges of macro photographers is trying to bring small things into larger points-of-view, which is one of the reasons why you need quality macro lenses. With that being said, the Canon EF 100mm f/2.8 Macro USM can help you get sharp images for your subjects as it uncovers detail that you might not be able to achieve with a standard kit lens. Now, the standard kit lens is reliable in its right, but if you want to enhance your macro photography with your Canon 5D Mark III one step further, then this Canon lens might tickle your fancy. It is a step lower than the Canon EF 100mm f/2.8L Macro IS USM, but its price tag is found to be more reasonable as compared to its higher-end counterpart. It can still give you excellent amounts of detail in each shot, and its f/2.8 aperture means you can get a fairly decent amount of light going through the lens. As such, low-light photography becomes a simpler task to deal with as compared to using other macro lenses with lower maximum apertures. Dedicated macro lenses help you achieve what other types of lenses will have difficulty in doing – getting the most detail out of your subjects. Some of these high-quality macro lenses will come with weather-sealing, others will have image stabilization built into them, while some will have fast focusing speeds. Choose the right macro lenses to fit your macro photography requirements and your budget. When these macro lenses are paired with your Canon 5D Mark III, then astounding results might even be an understatement.